On December 14, 2018, top spellers from every third and fourth grade classroom met in orthographic battle on the stage of the Willie Brown Elementary cafeteria. 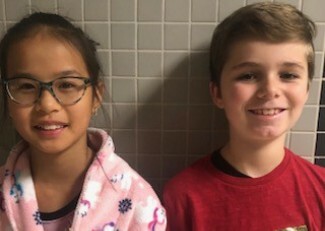 At stake: the opportunity to represent WBE at the district competition on February 8, 2019, and to challenge the MISD's finest spellers. In the end, Laura Jiang captured the WBE Spelling Bee crown, with Logan Hicks serving as our alternate. Congratulations to these excelling E-A-G-L-E-S!